MILWAUKEE, WI - Cannabis was the big winner in yesterday's election in Wisconsin! Cannabis referendums passed overwhelmingly in all 16 counties and 2 cities, with up to 88% support for medical and 76% support for recreational! While these referendums were only advisory, they show cannabis law reform to be more popular than many of the lawmakers who won in these areas. This should send a strong message to the incoming Wisconsin legislature that cannabis law reform - including medical cannabis, cannabis decriminalization, and cannabis legalization - must be a priority in 2019. The particularly wide-margin defeat of Leah Vukmir - who is well-known for claiming cannabis to be more addictive than meth during a televised debate this fall, and also for blocking all medical cannabis legislation in the Wisconsin Senate's Health and Human Services committee that she chaired - also shows that Wisconsin rejects Reefer Madness-style fearmongering on cannabis and understands it's safety and efficacy. NORML will now be scheduling meetings with Governor-elect Evers and legislative leadership to ensure the clearly-demonstrated will of the people is quickly enacted. "Should cannabis be legalized in Wisconsin for medicinal purposes, and regulated in the same manner as other prescription drugs?" "Should the State of Wisconsin legalize the use of marijuana for medical purposes and regulate its use in the same manner as other prescription drugs?" "Should marijuana be legalized, taxed and regulated in the same manner as alcohol for adults 21 years of age or older?" 54% - Be legal for adult, 21years of age and older, recreational or medical use, taxed and regulated like alcohol, with the proceeds from the taxes used for education, healthcare, and infrastructure in Wisconsin? 31% - Be legal for medical purposes only and available only by prescription through a medical dispensary? 15% - Remain a criminally illegal drug as provided under current law? 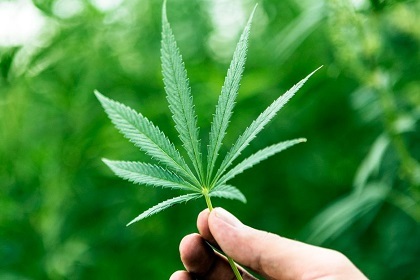 "Should the State of Wisconsin allow individuals with debilitating medical conditions to use and safely access marijuana for medical purposes, if those individuals have a written recommendation from a licensed Wisconsin physician?" "Should the State of Wisconsin legalize the use of marijuana by adults 21 years or older, to be taxed and regulated in the same manner that alcohol is regulated in the State of Wisconsin, with proceeds from taxes used for education, healthcare, and infrastructure?" "Shall the County of Marquette, Wisconsin, adopt the following resolution? Resolved, that "We the People" of Marquette County, Wisconsin, support the right of its citizens to acquire, possess and use medical cannabis upon the recommendation of a licensed physician, and; Be It Further Resolved, that we strongly support a statewide referendum requesting Wisconsin to join with thirty-two (32) other states that have already approved the use of medical cannabis for the treatment of chronic pain, several debilitating diseases and disabling symptoms." "Do you favor allowing adults 21 years of age and older to engage in the personal use of marijuana, while also regulating commercial marijuana-related activities, and imposing a tax on the sale of marijuana?" "Should marijuana be legalized for medicinal use?" "Should marijuana be legalized, taxed, and regulated in the same manner as alcohol for adults 21 years of age or older?" "Should proceeds from marijuana taxes be used to fund education, health care, and infrastructure?" "Should cannabis be legalized for adult use, taxed and regulated like alcohol, with the proceeds from the Taxes used for education, healthcare, and infrastructure?" "Should the state of Wisconsin legalize medical marijuana so that people with debilitating medical conditions may access medical marijuana if they have a prescription from a licenses Wisconsin physician?" 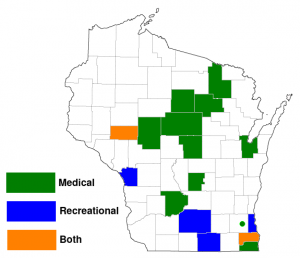 "Should cannabis be legalized for adult recreational use in Wisconsin?" "Should cannabis be legalized for medical use in Wisconsin?" "Should cannabis sales be taxed and the revenue from such taxes be used for public education, health care, and infrastructure in Wisconsin?" "Should cannabis be decriminalized in the State of Wisconsin?"